Hey there! Guess what’s right around the corner? FRIDAY. All we have to do is power through today! Allow me to help you kill some time with a new blog post :). Currently I’m thinking about: making a commitment to wearing glasses. I went to the eye doctor yesterday and my vision has gotten worse since my last visit. This is no big surprise since I was prescribed glasses years ago and I never wear them. My vision has started to bother me more and more though so I am making a commitment to wearing them. I picked out some pretty Burberry frames. I figured if I was excited about the way the glasses look I would be more likely to wear them! They had to be sent out to be made, so I’ll be glasses-free for just five more days. Currently I’m happy about: losing weight. You may remember that I’ve been tested for a thyroid condition twice within the last 12 months because my weight kept creeping up despite my diet not changing that much. Both tests came back negative. My doctor didn’t really give me a lot of great insight into what could be wrong which was really frustrating. She said my thyroid, cholesterol, blood pressure, etc. etc. etc. were all normal so she wasn’t worried. I didn’t like what was happening though, so I started working with a dietitian. By eating more vegetables and protein and less carbs my weight has started dropping again. That did make me consider that while my diet didn’t change much, I did run a lot less last fall/winter because I was preoccupied with home renovations. Working with a dietitian has been eye opening. There are so many things I eat that I never would consider a carb — like BBQ sauce and corn. To be fair, I still eat some junk. Adam and I like to eat out on the weekends, and we usually order in at least one night a week. I also usually go out to lunch with coworkers once or twice a week. That being said, my progress is slow it’s back to being steady and that’s fine with me since all of my other numbers are in line. I’ll never have a strict “diet” because I spent too many years living with an eating disorder to go down that route again. I’m happy with where I am at now. 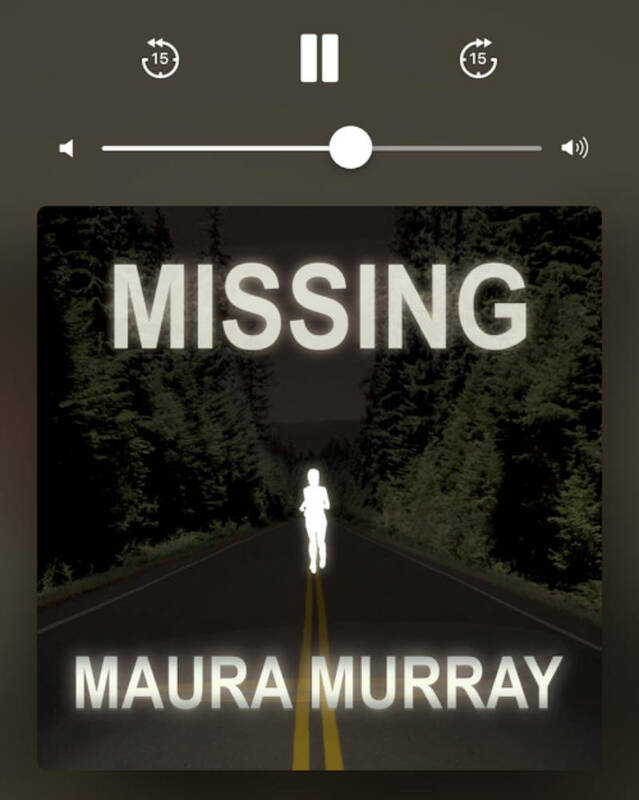 Currently I’m listening to: the Missing Maura Murray podcast. I haven’t listened to a podcast like this since season one of Serial a couple of years ago. I forgot how important it is to listen closely so you don’t miss any details. I need to re-listen to a couple of the episodes already haha! 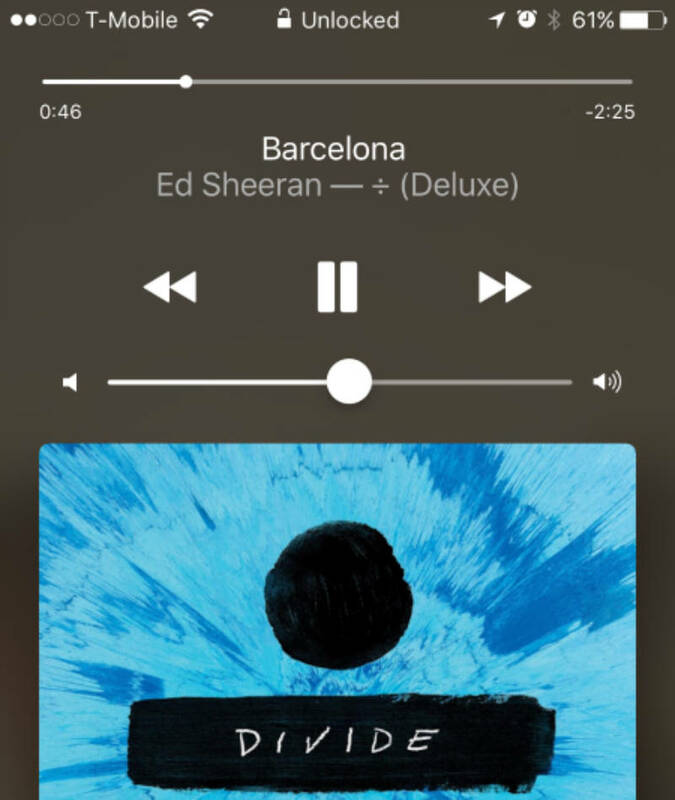 Currently I’m loving: the song Barcelona from the new Ed Sheeran album. Honestly, “loving” is probably not a strong enough word. I live for this song! If you’ve been listening to the album I would love to know what your favorite song is. Adam doesn’t like Ed Sheeran, but he says the song Nancy Mulligan gets stuck in his head all the time:). 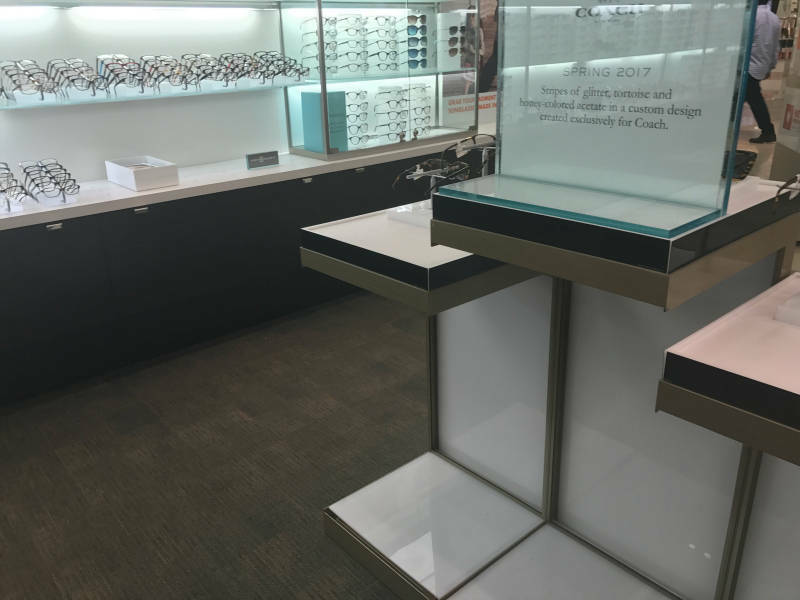 Do you wear glasses or contract lenses? I wear contacts and I have had them since i was in like 9th grade. I also have glasses but the prescriptions not as strong as my contacts (I haven’t had them replaced in awhile) so I don’t like to drive in them. I think I would prefer wearing contacts, but I’m nervous to try. My eye doctor said he thinks it would be hard to teach me to put them in because I can’t even do the eye puffer test. The were able to get one eye, but when they went after the second eye it just kept closing. It wasn’t having any of that, no matter how hard I tried to keep it open! I would probably end up with one contact in and another eye that stays shut lol! Nancy Mulligan is my jam! I just recently got a fancy new car stereo that connects to my phone and the first thing I made it play was Nancy Mulligan. Going to see him in concert in September, yay! I wear glasses most days, and switch it up with contacts if I’m running outside/doing CrossFit/feeling fancy. My fiance wears glasses only while driving or watching tv and it drives me nuts because I point out things all the time that he can’t see. It’s such a catchy song! That’s so cool that you’re going to see him in concert – now I want to as well! Haha that’s so funny about your fiance! Last night I told Adam I think it was the first time I’ve ever properly see him. He’s very handsome! 😀 hahah! Glad you are making progress with nutrition! I need to eat better too. How is your garden going? Oh my poor, poor garden. I need to start fresh with no seeds for the majority of my vegetables. The broccoli is thriving, but a wind storm we had a couple of weeks ago appears to have killed all my other seedlings. I thought maybe they would revive, but I’m starting to lose hope. All of the shoots are gone and there has been no activity 🙁 I may re-pot this weekend! I wear glasses to look at the screen of my computer. They’ve become so necessary for me that I cannot leave the house without them. My current favorite song is Push by Matchbox Twenty… and a lot of hispanic songs. My running playlist is exclusively based on those at the moment. 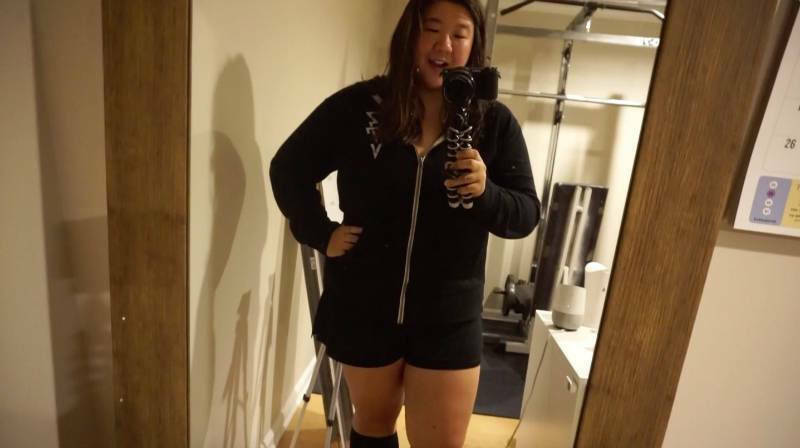 Nice job on steadily losing weight! Obviously since I have had past issues with disordered eating, I know that the all or nothing approach to anything food related is just never going to work for me anymore. I’m more like you are when I went to change something.. I don’t try to be perfect and I try to do what is realistic. I am supposed to wear glasses for far away things but I don’t because I find thrm uncomfortable. But when I do wear thrm… it’s like everything is more beautiful and high Def! I try to remember to wear thrm if we’re seeing a show or going to the movies or something. Oh! I hope you love your glasses! I wear contacts and glasses at night. Dieting is so hard! I’m glad you are getting the help form a nutritionist! it’s had to make those choices without help from an expert! Currently, I have 3 choreographies of Shape Of You in my brain… cause it’s a very popular zumba song! it’s stating to bug me. Glad you are making progress with eating more healthy! I need to eat better too, and have started myfitnesspal again to try to monitor my intake. How is your garden going? i planted a small one this past weekend,pics to be posted soon. I hope i can keep it going this year. Perfect vision over here 🙂 but if I had to get glasses, Burberry seems like a good way to go. Actually glasses seem like they would really complement my librarian aesthetic. I’m glad you are making such strides with your dietician/nutrition. That is really wonderful! You know what’s frustrating about getting older? Weight gain. I never believed it when people told me my metabolism would slow before I reached 30 but they were right. I eat the same as ever and workout more and still I can’t budge any weight. I’m not really TRYING to lose weight but in the old days, this kind of routine would melt away pounds. I’m glad you’re seeing success by adding more healthy veggies etc to your diet!